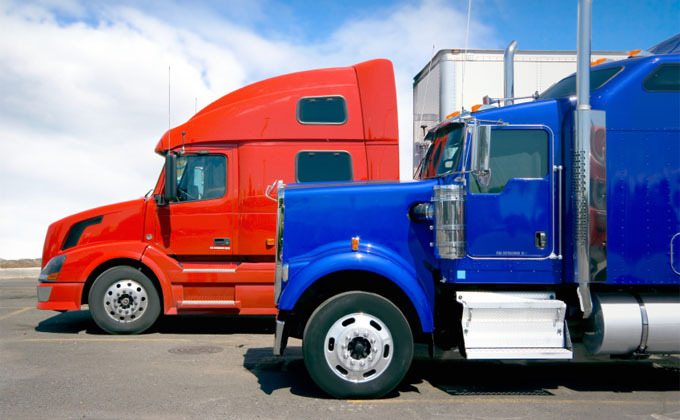 Last week a National Research Council (NRC) committee on heavy-duty vehicles released a report on technological, market, and regulatory factors relevant to the upcoming Phase 2 heavy-duty vehicle fuel efficiency and greenhouse emissions standards. One reason to pay attention to this report is that the first phase of the heavy-duty standards, adopted in 2011 by the [no-glossary]National Highway Traffic Safety Administration (NHTSA)[/no-glossary] and the Environmental Protection Agency (EPA), drew extensively from the National Research Council heavy-duty committee report released in 2010. The new report contains several recommendations in line with ACEEE’s priorities for the Phase 2 program. The committee recommends bringing trailers, especially all new 53-foot (and longer) dry van and refrigerated van trailers, into the regulation. These two categories encompass more than 70% of all trailers in the market. This would be an important advance from the Phase 1 program that could deliver at least 10% additional fuel savings for tractor-trailers. Other committee recommendations address vehicle testing issues. Due to the substantial cost of physically testing vehicles, the certification process relies heavily on simulation modeling. The committee emphasized the need to improve the model used for this purpose, in order to realistically capture truck GHG emissions and fuel use, and to promote design integration of vehicle components to achieve greater efficiency. The committee also recommended the adoption of more realistic test cycles that would include road grade, and reflect the longer times that less powerful trucks may need to accelerate. The importance of choice of test cycles in promoting real-world efficiency improvements was also noted. The NRC’s report did not discuss technologies to be adopted in the forthcoming rule, but reiterated the fuel savings potential from the technology packages offered in the 2010 National Research Council committee report. ACEEE has published a fact sheet illustrating potential further oil reduction from heavy-duty vehicles in Phase 2, as well as a white paper examining structural options for the program. The president has announced that the Phase 2 standards will be proposed in March of 2015.